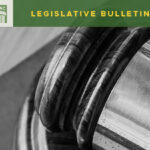 A lot of activity has been going on in the background developing legislative proposals focused on land use, but only a few have been officially filed at the time of this post. As expected, much of the conversation has been about planning for affordable housing and considering minimum density requirements, especially in urban areas and near mass transit. It’s reasonable to expect that we’ll see some legislation about those issues sometime soon. 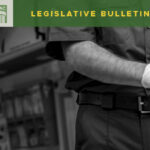 HB 1051 – Focusing GMA Requirements on Larger Counties. This bill would require that only counties with a population of 75,000 or more, and who experience population growth of 17% or more over the previous ten-year period, be subject to the GMA. The bill is retroactive to counties that currently plan under the GMA but don’t meet the requirements as well as to counties that may not meet them in the future. It is hard to see this bill moving given the current political climate, but I’ll continue to monitor it. 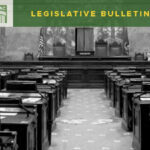 HB 1103 – Regarding Smoke Detectors in Dwelling Units at Time of Sale. This bill would require that anyone selling a dwelling unit install approved smoke detectors prior to transfer of ownership. It includes a $500 penalty for failure to comply, and a $5000 penalty if there is a failure to comply and a subsequent fire damages property or causes personal injury or death. It is important to note that this bill mandates that the County Fire Marshal be responsible for enforcement. SB 5008 – Short Subdivisions. This bill authorizes non-GMA counties to increase the number of lots in a short subdivision to a maximum of nine (currently four). It increases the number of lots in a short subdivision to nine for all GMA planning jurisdictions and allows them to increase it to a maximum of thirty within UGAs. This isn’t the first time a proposal has come forward to increase the number of lots allowed in a short subdivision. It will be interesting if this one gains any traction. 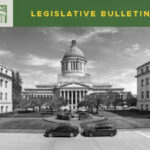 SB 5026 – Parcel and Planning Boundaries. Requires that UGA boundaries follow existing parcel boundaries. This is a technical fix/clean up bill that should receive support. Another area in which legislators are showing significant interest but have yet to file any new legislation is annexations. WSAC has presented alongside cities to both the House and Senate Local Government Committees on some of the challenges we’ve been experiencing in providing services to areas within UGA’s and the struggles and frustrations with the annexation process. You can view those presentations on TVW. I expect to see some legislation proposing some reforms to the annexation process at some point during this session.